If you’re like us and you like poking the bear, being close to death, or living on the edge, we’ve found just the car for you. Well, we’re not sure that you could actually buy it, but when you see how it drives, you might not want to. 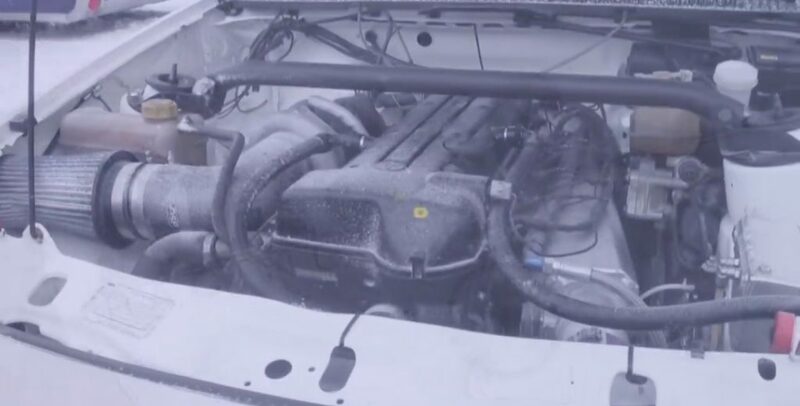 Check out this Ford Sierra with a Toyota Supra engine achieve a rapid 175 mph… on ice. The “2JZ SWAP THE WORLD! !1!” mindset clearly doesn’t discriminate based on year/make/model as you’ll see in this video. The Ford Sierra in this video received a new heart, and a good one too. The turbocharged 2JZ motor from a Toyota Supra makes it supercar-fast in a straight line, even with little to no grip available. Road & Track first shared the video and they explain some details about the build in this recent report. R&T says that the car was built by Thorstein Kvarme of the Buldre Racing Team in Norway. From the outside, this Ford Sierra looks just about stock, with the exception of a side-exit exhaust. It’s one of the best sleepers we’ve seen as of late. All of that changes when you hear it run. The sneakiness is uncovered as soon as you hear it run. That signature straight-six noise and turbo spool sound from the 2JZ could wake the dead. It’s so, so good. According to Engine Swap Depot, the Toyota Supra 2JZ under this Sierra’s hood makes 660 horsepower and 545 lb-ft of torque to the wheels. We’re not much for math, but that’s approximately eight times more than what the original Ford Sierra engine would produce. All of that power propelled the Ford Sierra to an average speed of 175 mph during Sweden’s Speed Weekend last February. All of this happening on the surface of a frozen lakebed. Driving 175 mph is a feat in itself. Doing it on ice is a whole other ballgame. 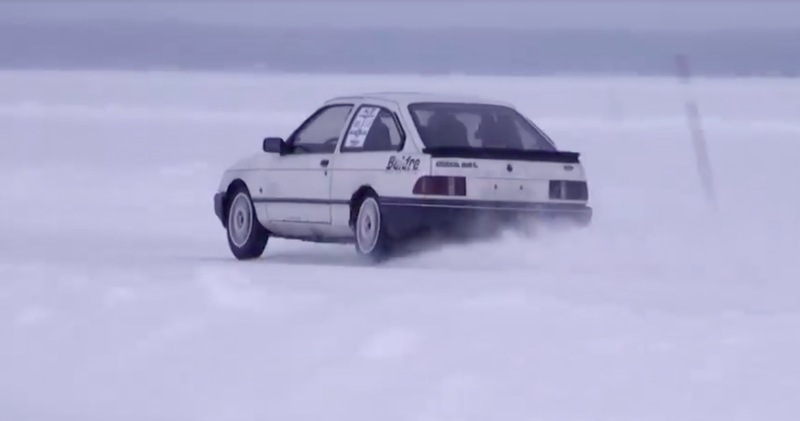 Doing it in a Ford Sierra on ice, well, sounds like pure insanity. But hey, we wouldn’t say no. Check out the video above and get ready to hold on for dear life.